Adding more skills to your portfolio is a must for all hair stylists. Why not have a go at this simple but very effective technique. 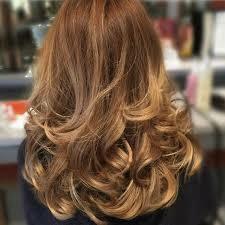 The ever popular Curly Blow Dry can be a very lucrative add on and now you can obtain this qualification in just one day. You will need a model for your assessment. You must pay this course in full at the point of booking. Refunds are not given unless you give a cancellation notice 7 days before the course is due to start. I enjoyed the demonstration with Q&A and the practical side. Different techniques for different finishes and how to work with different lengths of hair. Loads of help throughout the course and all questions were answered thoroughly. Loved the demonstrations, very easy to follow and understand. Friendly tutor full of knowledge. Good step by step instructions when doing demonstrations. Natalie and the students were fab! Tutor was lovely and very informative. Thoroughly enjoyed the course. Patient tutor who was helpful and friendly. Lots of tips along the way.